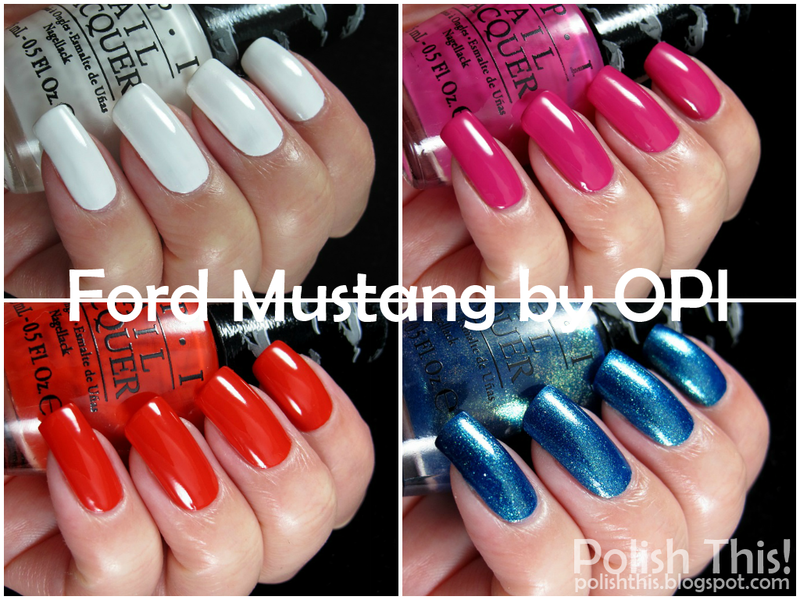 OPI Ford Mustang Collection Swatches and Review - Polish This! Mutta asiaan, nuo pinkki ja sininen on upeita. Wow! Sanopa muuta, todella nättejä tapauksia! Your pics strenghtened my opinion about The Sky's My Limit. It's a really gorgeous blue! It does remind me of something even if I'm not able to recall what exactly ATM. Anyway, as a blue addict, blue's never enough and I'm sure It would be hard for me to resist! I'm impressed by the cremes too, they're super shiny! The cremes are so great, I was really pleasantly surprised! Nuo cremet yllätti kyllä positiivisesti vaikka toki eivät ehkä uniikkeja sävyjä olekaan, mutta laatu on ihan huippu!